Finding a job is hard work. There are ways to make it less so. Bringing some of your passion to your work is one way. Miles Maftean shares some ideas here about how volunteering can help you begin to do that. “Your passions play an important role in your life. What’s the best way to steer your passions into an actual job? Volunteering! Statistics show volunteering makes you more attractive to potential employers. In fact, 82% of hiring managers prefer to choose resumes from the pile that list volunteer experience. But there is so much more to get out of volunteering than increased odds of finding a new job. Remember, you’re trying to find the best job for you, one you can actually be passionate about. Here’s how to start. Outdoors: National parks have many volunteer opportunities available, from cleaning the park to giving tours. Or find an environmental organization and take part in outreach campaigns, trail maintenance, community garden workdays or beach cleanups. Charity: Habitat for Humanity and local food pantries provide assistance for those in need of affordable housing and food, respectively. 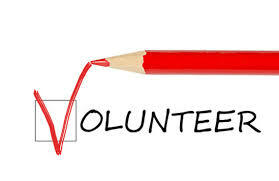 Volunteers can provide any number of skills, including construction, data entry, cooking or copyediting. Animals: Local animal shelters and other associations are in constant need for volunteers. You can help with general administrative duties, adoption drives or even playing with or caring for animals. Politics: Participate in a local, state or national election by volunteering on the campaign trail in support of a candidate you believe in. Develop many different important skills and establish a network of contacts if you’re interested in having a political career. Sports: Neighborhood sports teams often need volunteer coaches. Or consider helping an organization like Special Olympics to empower individuals with intellectual disabilities through athletic competition. Check out VolunteerMatch to find a volunteer opportunity you’re passionate about! Volunteering for a cause you love will provide you with the opportunity to understand and explore career possibilities within a field you’re passionate about and start developing the skills needed to work in that field. Plus, you’re helping others in your community while doing so! Another benefit of volunteering is it provides a great opportunity to meet like-minded people who are passionate about the same causes you are. By getting to know paid and volunteer staff, you’re expanding your professional network and nurturing more genuine connections than you would via LinkedIn or other social networks.